Ebook enthusiast, technology geek, iPhone artist and self-published author from Poland. His short story collections were downloaded across the web more than 150,000 times. 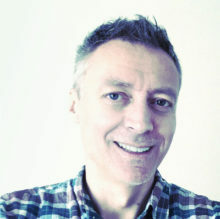 Guest writer at TeleRead, Futurebook and the Digital Book World. Partner of Read an E-book Week. 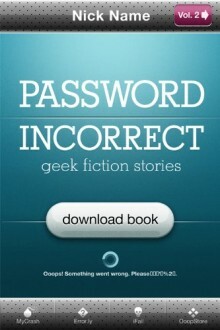 At a personal blog, Password Incorrect, he shares technology tips for writers and readers of electronic books. Feel free to check out his Tumblr archive of digital fiction projects: one-picture stories made completely on an iPhone, Twitter-length stories, and quotes about humans made from a point of view of technology. Contact the author for public speaking, freelance design and copywriting, marketing consultancy or with any other question you have. Send an email to piotr [at] passwordincorrect [dot] com or a message on Twitter. First volume of a tech-fiction short story collection. 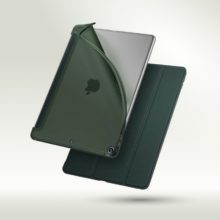 Designed to be a perfect mobile reading for geeks, who sometimes feel the need to recover from tech-related stress. In a book, you’ll find 20 stories, which can help you redefine “absurd” from “being ridiculous” to “being funny”. Bonus: 10 best hashtagstories – author’s original Twitter microfiction format. These stories serve as a reminder. Issued up from the heart of Poland by a wired writer in translated English making absurd light of situations unimaginable even a decade ago, ones fraught with the danger of banality. But this nimble writer deftly zigzags to humor and sheer wackiness. It has been suggested that multimedia “books” could be literature’s future, and that may well be. But I think more likely candidates are the sort of short stories you’ll find in Password Incorrect, which exploits the networked world’s novelties while remaining true to the universal commonalities of the human experience. You not likely come across anything quite like Password Incorrect any time soon. Unless this work receives the wide audience it deserves and imitators spring up. 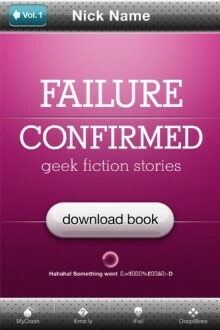 Volume 2 of a geek-fiction collection for mobile readers. All of them proving that life can be exciting even if you’re not taking part in an expedition to North Pole or dying every night at the parties on Ibiza. A full adrenaline is guaranteed if you have a shiny laptop which is about to say: “Fatal error: Call to a member function loadObject() on line 666”. I love how these stories show an understanding of the nuanced relationship between human beings and technology, which is often belied by the absurdity of the humor. Technology is presented not as a boogey-man, but rather as the tools human beings create to fill real needs. The problem, of course, arises from humans’ preternatural abilities to epically eff up even the best intentions.